YASS. That's pretty much what I feel like saying every time I wear this choker. 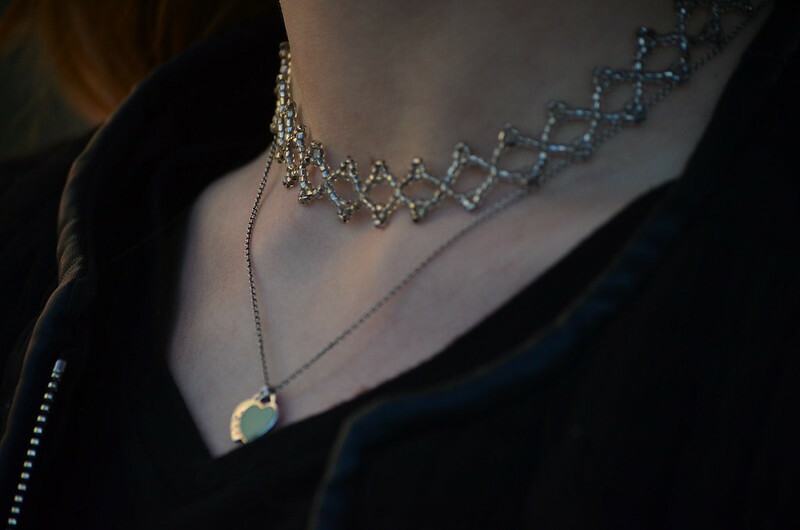 I didn’t really go along with the whole 90s tattoo choker craze recently, maybe because I used to own one in every single colour as a kid, but I am really looking forward to the 70s being back bringing suede, flares, fringes and everything else along with it. While I went back home for Easter I had a clear out of my jewellery for a yard sale (where I only sold three headbands and made a CRAZY £6 profit) and I also came across this handmade choker. I played around with it for a while, put it around my neck as a joke planning to add it to the pile that would be given away, but ended up loving it. And I have been wearing it loads recently, especially paired with other, daintier necklaces. 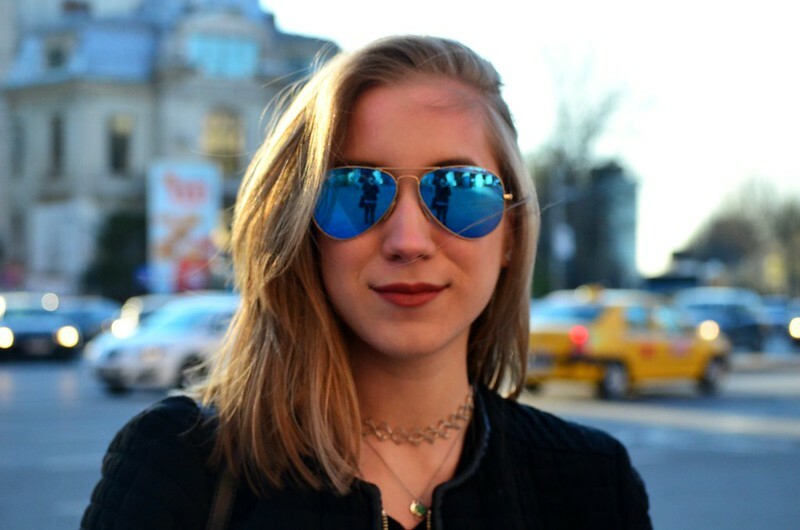 I guess what I liked about it was that although it was a choker, it was different than the classic tattoo, black chokers that have been popping up everywhere recently. Somehow, this is my interpretation of the 90s meeting the 70s. I feel like this choker would have looked amazing with a loose airy blouse and a suede, fringed jacket, maybe worn by Farah Fawcett. Definitely nowhere close but I am looking forward to wearing this during the summer.